Lisa Campion is a psychic counselor and Reiki master teacher with over twenty-five years of experience. She has trained more than one thousand practitioners in the hands-on, energy-healing practice of Reiki, including medical professionals, and has conducted more than fifteen thousand individual sessions in her career. Lisa is also the Dean of Students at the Rhys Thomas Institute, a three-year energy medicine school that has trained hundreds of people worldwide in energy medicine. Based near Boston, MA, she specializes in training emerging psychics, empaths, and healers so they can fully step into their gifts-the world needs all the healers it can get! 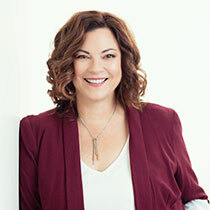 Lisa is the author of the #1 best-selling book, "The Art of Psychic Reiki." (New Harbinger Press 2018). She is also the host of the popular radio show, "The Miracle of Healing" on Empower Radio.